Get involved and help out! Fliers and Literature- Download and Share! Please Read the article below. Richmond Chicken Ordinance conflicts with State Law, puts chicks in danger, and creates a larger financial burden per chicken for the backyard chicken people. Urge Council to change the laws before spring chicks! Make local food more affordable! Come to the February Food Not Bombs meeting! We are cooking at The Wingnut Anarchist Collective for the month of February, but our organizational meeting will be at Arch house at 2715 Barton Avenue instead – just 7 blocks up the street. February 23rd at 11am is the meeting. We will be back at 2005 Barton Avenue by 12:30 for the cooking to begin! Please come to get in touch with our organizational process and needs, plans for fundraisers, and other ideas! Come out to Land Use Meeting to STOP the Privatization of Monroe Park!!! There is a scheduled Land Use meeting at City Hall on Tuesday February 18th at 3pm, where the proposal for the privatization of Monroe Park will be presented by Alice Massey. Please come out with friends, signs, and voices to be heard. It is imperative for the freedom of citizens of Richmond, the houseless, low income, radical social movements, and spontaneous events that we STOP the City from leasing Monroe Park to any private party, and STOP there from ever being a permit process or fee for holding events in our public commons. February Food Not Bombs at the Wingnut!!! 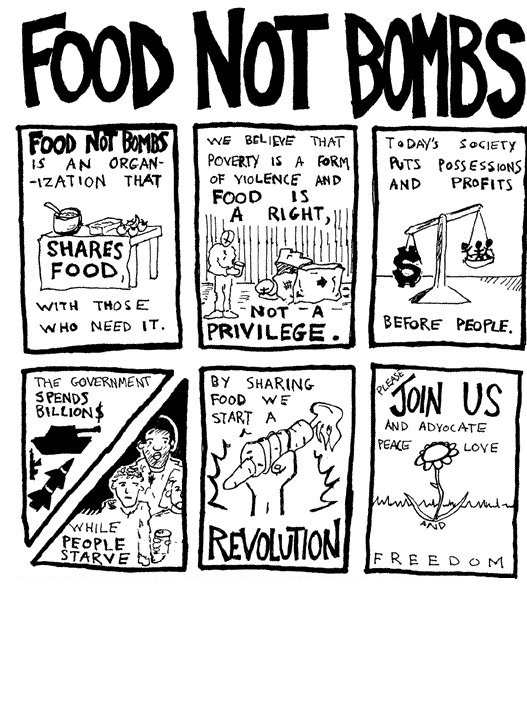 For the month of February the weekly Richmond Food Not Bombs cooking will be held at the Wingnut (2005 Barton Avenue RVA 23222 or call or text 804 300 0023) every Sunday from 12:30 – 3:45. We leave at 3:45 to be Monroe Park to serve at 4. 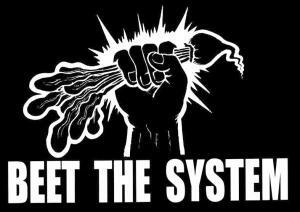 Come cook, clean, organize, learn, network, drink coffee, hangout, and strategize on how to beet the system. Followed by a grocery distribution. Please come!!! New folks totally welcome. Folks of all levels of cooking skills invited, as well as all ages. Help also wanted afterwards to help cleanup the Food Not Bombs gear and the space. Join us at 5 PM on MONDAY, JAN. 27, in front of RICHMOND CITY HALL as we take a public stand against putting a baseball stadium in historic Shockoe Bottom. Richmond City Council is scheduled to vote that evening on a resolution supporting the mayor’s redevelopment plan, which includes building a for-profit sports stadium on the site of what was once the largest slave-trading district in the U.S. north of New Orleans. We will hold signs opposing the stadium until 5:45 and then go upstairs for the 6 pm council meeting. Note: This action will take place whether or not council decides to postpone this critical vote. This Call to Action is being jointly issued by the African Ancestral Chamber; All As One; Defenders for Freedom, Justice & Equality; Lillie A. Estes, ALO Community Strategy; and People for a Just Richmond. TUES., JAN. 21, 6-8 pm – 7th District, with Councilwoman Cynthia Newbille. Powhatan Recreation Center, 5051 Northampton St.
WED., JAN. 22, 6-8 pm – Joint 1st & 2nd Districts, with Councilmen Jonathan Baliles & Charles Samuels. Albert Hill Middle School, 3400 Patterson Ave. SAT., JAN. 25, 10 am – noon – Joint 6th & 7th Districts, with Councilwomen Ellen Robertson & Cynthia Newbille. Martin Luther King, Jr. Middle School, 1000 Mosby St.
* Ask your friends on social media to sign the online petition at www.shockoebottom.blogspot.com. (See “Take Action Now” on the upper right of the home page.) As of Jan. 17 we had nearly 2,300 signatures! This is by far the largest expression of public opinion on this issue to date. Let’s keep it going and not let our opponents beat us at community organizing! * Bring your friends to the City Council meetings and district hearings. Bring signs – and speak out! * Make a sign and put it in your car window and a front window in your house. Write a song. Draw a picture. Make council see the writing on the walls. Be creative. Be your own leader. Stadium opponents have been lobbying every member of City Council, and we do not believe the mayor has the seven out of nine votes necessary to pass the land-related ordinances necessary to put a stadium in the Bottom – but we won’t know for sure till council votes. Until then, more pressure is needed. We are NOT against development. In fact, opponents have developed an alternative plan, one that would bring in much-needed revenue for the City and allow development on the Boulevard and non-sacred areas of Shockoe Bottom while properly memorializing the area where hundreds of thousands of people of African descent suffered, resisted and as a people survived one of the worst atrocities in human history. See “Alternative Vision for Shockoe Bottom” at www.shockoebottom.blogspot.com. NO to a Shockoe Stadium – YES to a Historic District! Save the Date- Sunday March 2nd Margaret Killjoy will be coming to the Wingnut on a speaking tour for his forthcoming book, A Country of Ghosts! Author and editor Margaret Killjoy is touring to promote his forthcoming book, A Country of Ghosts, an anarchist utopian novel to be published by Combustion Books. In this talk, Margaret will focus on the usefulness of fiction–with a focus on utopian fiction–in anarchist struggle. Check out the awesome video below of Margaret speaking with Ursula K LeGuin in Portland. 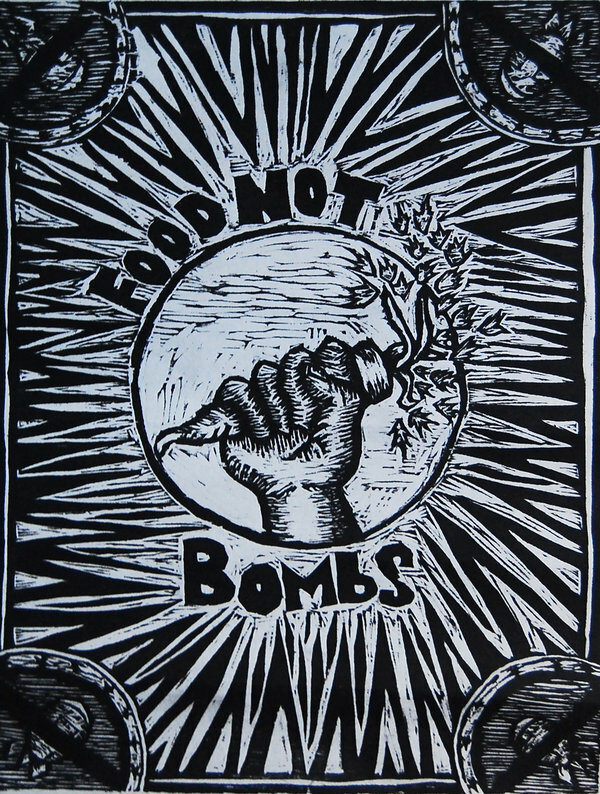 There will be a general Food Not Bombs meeting this Sunday January 19th at 11 am at 1300 north 1st street. Please spread the word to folks involved with FNB or who want to become involved. 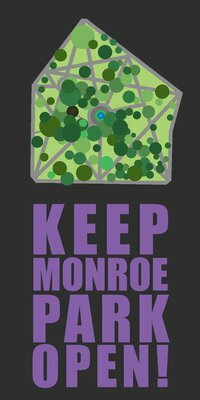 No Privatization of Monroe Park! Get informed, get ready to take action! A group of Richmond Elite are trying to privatize Monroe Park, restrict events there, and charge a $35 dollar fee for permitted events. More info in the article linked below. You can access the Wingnut calendar of events at www.wingnutrva.blogspot.com go there to find a comprehensive list of our upcoming events, shows, potlucks, Open Hours, etc.